The Haleakala National Park summit district, on Hawaii’s Maui island, closed following a winter storm that left the volcano dusted in snow on the weekend of February 11. 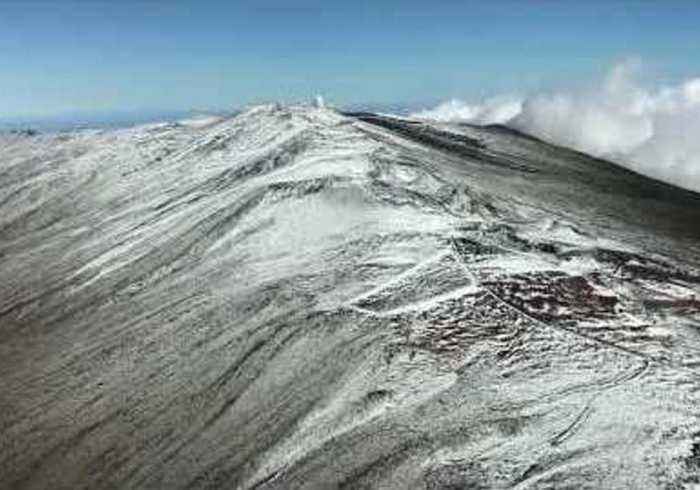 This footage filmed from a helicopter shows the snowy conditions on Haleakala’s peak. According to a report from Hawaii News Now, the park would remain closed at least until Wednesday, February 13.